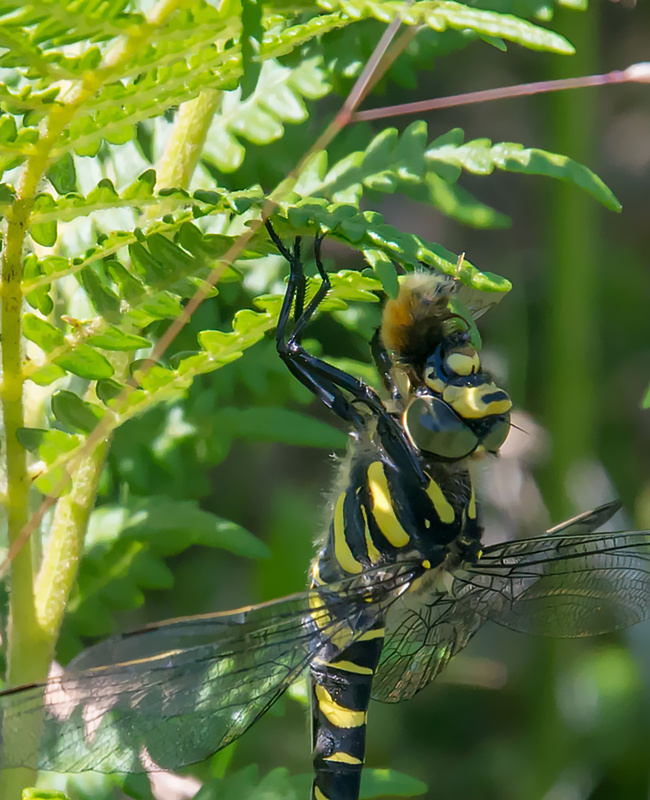 Lee Wilkinson has sent in this lovely photo of a Golden Ringed Dragonfly getting it’s jaws into a rather furry lunch up at Wildmoor Pool. 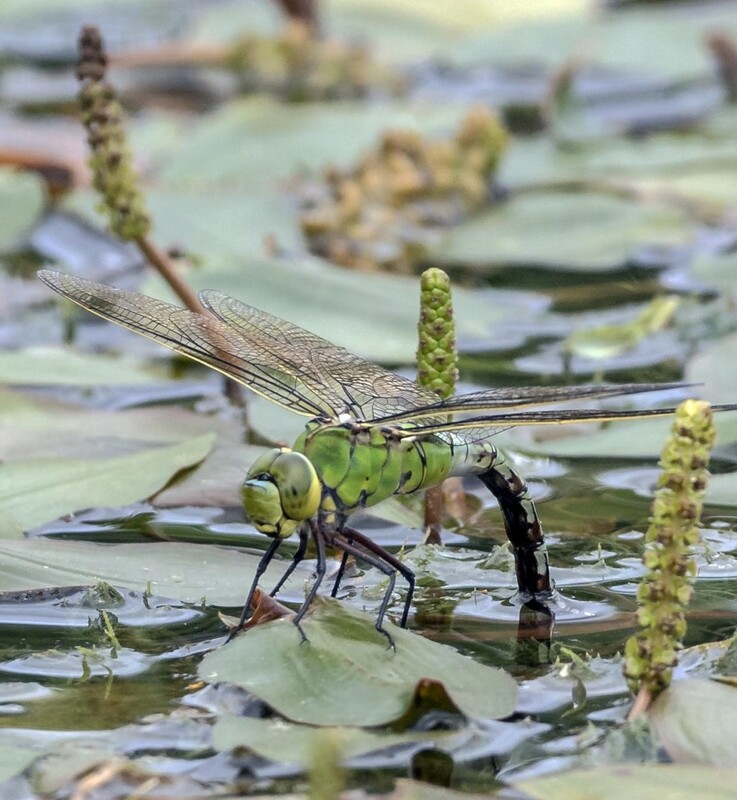 Paul Spear has also sent in some great photos of a male Emperor Dragonfly in full flight and a female ovipositing at Prees Heath. 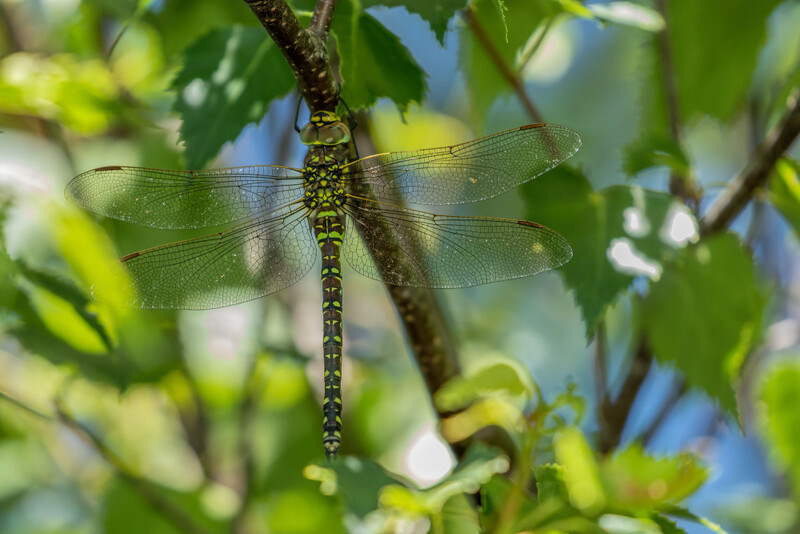 Following the photo of a Common Hawker exuvia we now have evidence of the adults in flight with this picture of a female taken by Stephen Barlow at Whixall Moss. 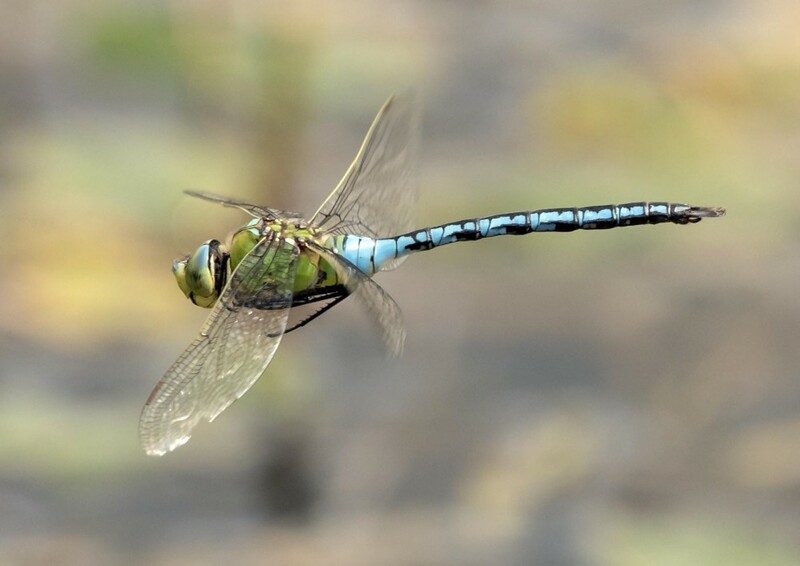 The female body is far more robust and parallel sided than the waisted abdomen seen in the male.